people with families to care for; it turns out the kids don’t care how much you need to go for a run. your exercise with a nod to the little time you have. reason for this is that all you need is a tutorial and a mat to get started. Some people find the above two locations a challenge because they are restricted by four walls. 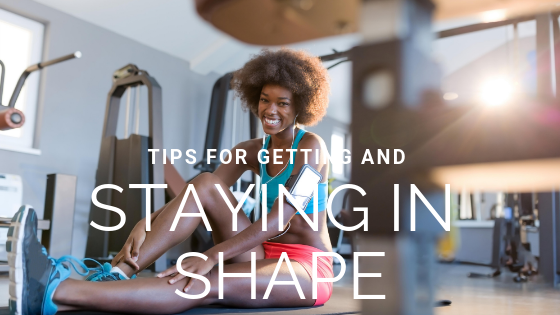 get you started so you can focus on using the equipment you need to at the gym. 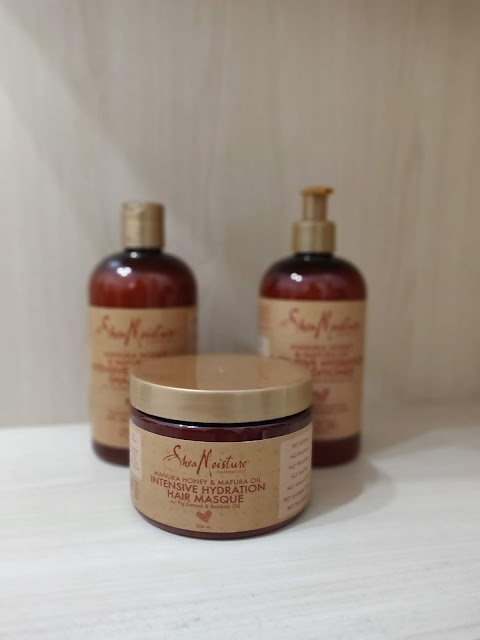 Shea Moisture has once again wowed us with their newest range of products 'The Manuka Honey & Mafura Oil collection'. Said to replenishes oils and provides a moisture barrier to protect hair and replenish dry, damaged and lackluster locks. The range is formulated with Manuka Honey, a natural humectant, Mafura Oil with essential fatty acids, Baobab Oil, and African Rock Fig rich in Vitamin C and antioxidants. Blurb: This sulfate-free shampoo cleanses while infusing hair with intense moisture and shine-enhancing nutrients. Certified Organic Shea Butter, Honey, Mafura and Baobab are blended into a rich formulation of restorative oils to soften and revitalize hair. Antioxidant-rich African Rock Fig helps boost hydration while protecting distressed hair from environmental influences. My 2p: This product was another great find, did not dry out my hair or my daughters hair and both of us had clean fresh locks at the end. Worth every last drop that we squeezed out the bottle. Came out of the bottle looking like silk with a great scent. All those amazing oils coming out with a fresh feeling. Excellent. Blurb: Replenish, moisture and tame dry, frizzy hair with this revitalising conditioner. Community Commerce sourced Argan Oil, organic Shea Butter and Almond Milk combine in this high-performance formula that effectively detangles, smoothes, and revives hair. My 2p: This was my favourite of the three products and I give it a solid 5/5. Excellent product and definitely intensive hydration. After washing my daughters hair was shiny and full, no tangles either. Mine was easier to comb and felt soft and full. Blurb: This intense conditioning deep treatment infuses hair with a powerful dose of moisture and nutrients. Certified organic Shea Butter, Honey, Mafura and Baobab Oils are blended with antioxidant-rich African Rock Fig to restore and lock in moisture. Smoothes and fortifies follicles for stronger, healthier frizz-free hair. My 2p: Lovely Masque to use, as expected from Shea Moisture. Did not add anything special to my hair but was still lovely to use. I only give it 3 as it wasnt any better than any other masque I had used before. All in all loved this range, as with all the Shea Moisture products we'd tried before, loved this too. The collection is available exclusively at Boots, priced at £12.99 per product.